Gold neared $1100 again in the Asia electronic session as the dips in the commodity continued to allure the investors to buy it. As the year 2009 comes to an end gold is about to end the year with gains of nearly 25%. Gold for immediate delivery increased 0.5% to $1,097.90 an ounce. Gold for February delivery in New York advanced 0.5% to $1,097.60 an ounce. As far as the counter stays above $1092 it looks bullish. The precious metal declined 7% in December, dropping for the first time in four months as the dollar rebounded from a 15-month low against major global currencies. 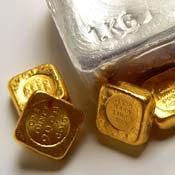 MCX February gold futures are up more than Rs 30 at Rs 16684 per 10 grams. It looks bullish until stays above Rs 16650 levels and may target Rs 16720 levels. In 2009 the Indian gold futures had a solid volatility of more than Rs 5000 indicating the high liquidity of the metal. 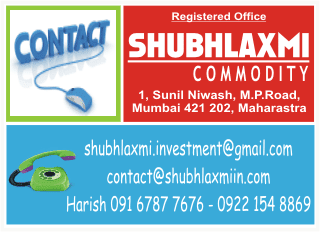 Looking ahead the metal`s future looks rosier, the Indian gold futures may rise to Rs 20000 level in mid of 2010.